Since the introduction to Stevia in China in late 1970s, Stevia has been mushrooming in China, and it has currently taken more than 80% of global market share, taking cultivation and production into account. And this momentum has driven GreenHerb to make Stevia as its top business back in the year of 2005, since then, our Stevia products were all based in China. GreenHerb is dedicated to supplying premium quality Stevia ingredients to the global market and we are proud to be the witness of how Stevia changes life and world, more than an alternative to sugar. With ten-year experience of cooperation with world’s famous industry leaders, and our commitment in using natural ingredients rooted in plants, GreenHerb has been following the philosophy of sustainable development, and this is underlined by us ensuring the whole Stevia production chain natural. We’ve walked into all Stevia farming bases in China in the past 10 years, with activities ranging from field investigation to onsite practice, and this has given us a full opportunity in finding suitable lands, better cultivation environments, improved variety and superior leaves. Product quality is regarded as our top mission to customers. 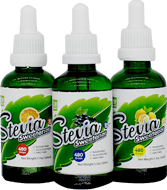 All Stevia ingredients are processed in ISO and HACCP certified production line. As the sweetener, its taste and stable index are most important application criteria to clients, and we are a strong believer in this. 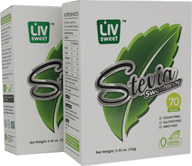 During recent years, we’ve made it the top priority in improving and finding better solutions, amidst our continuous efforts in making Stevia more of and even better than sugar flavor, with regards to taste and application. 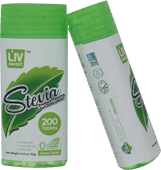 With appreciation of being a player in Stevia industry, we are ready to contribute our bits to its development. In the year of 2010, we were recognized as a member of China Stevia Association (CSA), and later were acknowledged as the council member in the year of 2013. By working together with experts and the industry leaders on this platform, we strive for more cooperation with Stevia organizations and firms through experience-sharing and idea exchanges. With the respect for life, we aim to bring health to more people! An expert of stevia ingredients’ solution based on a unique sustainable supplying chain. We are committed to bringing benefit to our client, the stevia industry and more people by providing healthy and valuable Stevia product in a sustainable way. Xi'an GreenHerb Biotech Co., Ltd.